Carnauba wax is used in blends alongside other thickening ingredients, such as cocoa butter, to add hardness to the texture of a product. 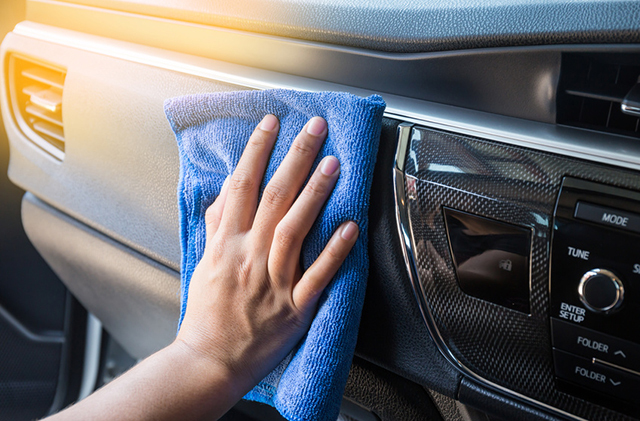 Keeping your car clean from inside out is important to maintain its value and appearance. Many car owners hire local car cleaners to wash their cars daily or try and do it themselves whereas some opt for car cleaning services offered by car service companies. You get the best quality car cleaning products, tool kits and gadgets in the market to make life easy. However, it is important that your car is washed and cleaned in an appropriate way and on regular basis. Car owners can follow these easy and simple car cleaning tips to maintain the look of their cars all the time. The very first thing one should do to keep their cars clean is trash all the waste in the car regularly. You may have left empty bottles of water, bags from restaurants, wrappers, etc which should all be trashed in order to keep the interiors clean. Some car owners keep a small bin in their cars to collect the waste and trash it. Car mats get dirty very soon and should be cleaned or washed regularly. These mats can be easily removed, shaken out to remove the dirt, mud and debris. You can ask the car cleaner to wash the mats with water every alternate day. Usually all the items we carry while travelling to work or otherwise go on the backseat. You can always keep a bag or a box to store all the extra stuff and keep the backseat of your car organised. Many DIY car cleaning tool kits are easily available in the market and online. You can use protecting sprays, car cleaning detergents and other cleaning products instead of household detergents, liquid leather products for leather seats etc. You can use a vacuum cleaner to clean the interiors of your car once a week. You can use a crevice tool for the vacuum to clean areas between the seats and console. Most car cleaners only use water to wash and clean the car. However, a combination of water and wax will save time and add some shine to your vehicle. Once washed, you can use a soft towel to dry the body of the car. You also get sprays to clean the wheels of your car. Finally, you can place an air freshener to add some fresh and flowery fragrance in the interior. You now get air fresheners in different flavours, shapes and sizes at car accessory stores. Your car is one of your priced possessions. You feel fresh and can drive comfortably in a well maintained clean car. Many leading car care companies offer a wide array of Car Cleaning Services and car wash services at affordable prices. If doing it yourself is a task, opt for cash wash services available at fuel pumps and service stations.